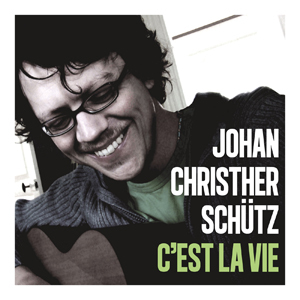 This is the International edition of C'est La Vie - 11 sånger på svenska, with 5 tracks in English. Recorded in Stockholm, Sweden, between January and June 2008. Mixed for Livart Produktion by Katarina Nilsson and J.C. Schütz, in a house on Öland in July 2008. Mastered by Ricardo Garcia in Magic Master Studio, Rio de Janeiro, Brazil. All songs are written by Johan Christher Schütz. All photos taken by J.C. Schütz.